If you’ve been searching for the best deal on a new car and want to save money on the vehicle you’ve always wanted to drive, this is going to be perfect for you. This money-saving Volkswagen program offers new car discounts to military and first responders in Roanoke, VA. With the impressive variety of new vehicles at First Team Volkswagen that qualifies for this discount, you’ll have no problem getting the car, crossover, SUV or convertible you’ve dreamed of owning. Keep reading to learn more about the Volkswagen military and first responder discounts in Roanoke, VA at First Team Volkswagen. Soldier saluting commanding officer. This generous new car discount from Volkswagen will help you get behind the wheel a new vehicle. The military and first responders discount from Volkswagen are being offered to all qualified first responders and members of the five military branches. If you qualify for the new car discount in Roanoke, VA, you could receive a $500 bonus toward purchasing or leasing a select, new Volkswagen car, crossover or SUV. This program is just one way for Volkswagen to say thank you for your service and all the things you do for your community and country. To receive your military or first responders discount towards the purchase of a new vehicle, simply bring in proof of eligibility. 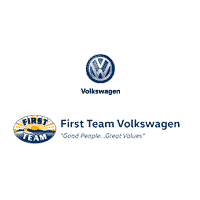 If you have any questions about this program or about any of the vehicles on the new car lot at First Team Volkswagen in Roanoke, VA, please call our sales department at 833-233-4547.